Cyn is the very definition of overachiever. After achieving success as an attorney in the Navy, she went on to fulfill her ambitiion of being a writer. Cyn has published mysteries from being a Navy Seal to being a busy Greyhound. Though Cyn was an early volunteer for Greyhounds, she has branched out to Airedales and Bassett Hounds. Through her own non profit organization, At Risk Intervention, she continues her work to save every needy dog she meets. 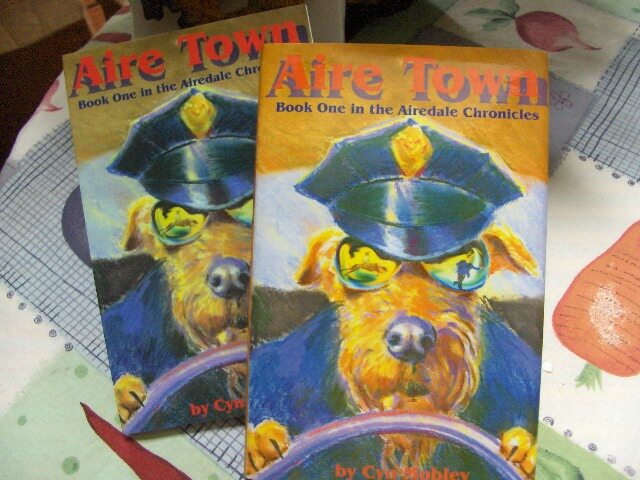 Please visit dogbooks.org to order these Airedale tales or any of Cyn’s other master works. Hi, again, Kerith. Didn’t see this message on our web site till today, but you and I have already connected. Thank you!